Conference on Cultural and Educational Interchange (CULCON) > About CULCON > Membership > US CULCON Members > Leonard J. Schoppa, Jr.
Leonard Schoppa is a Professor of Politics and Undergraduate Director at The Woodrow Wilson Department of Politics at the University of Virginia. 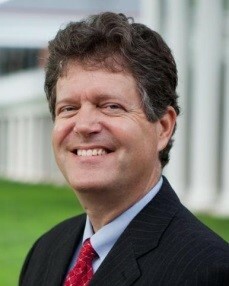 He joined the UVA faculty in1990. From 2000-2001, he served as a Visiting Fulbright Research Fellow at the University of Tokyo Institute of Social Science and the ICU Institute of Asian Cultural Studies in Tokyo, Japan. He also served as a Visiting Assistant Professor in the Faculty of Policy Management at Keio University, Tokyo, Japan from 1993-1994. Dr. Schoppa received his B.S. from Georgetown University in 1984 and his Ph.D. in Philosophy of Politics at Oxford University in 1989. Dr. Schoppa’s research focuses on the politics and foreign relations of Japan and is comprised of several distinct projects. Among his recent projects is Race for the Exits: The Unraveling of Japan’s System of Social Protection, (Cornell University Press, 2006), in which he examines the transformation of Japan’s system of social protection as it has been buffeted by the pressures of globalization and changing gender role aspirations of women. He has also written extensively about Japan’s economic negotiations with the United States in a book titled Bargaining With Japan: What American Pressure Can and Cannot Do (Columbia, 1997) and on Japan’s policy immobilism in Education Reform in Japan (Routledge, 1991). Articles growing out of these projects were published in International Organization (1993, 1999) and the Journal of Japanese Studies (1991). Recently, Dr. Schoppa returned to his interest in the electoral and party politics of Japan (in comparison to other advanced industrialized nations) and began working on a new edited volume with Tanaka Aiji of Waseda University. Earlier, he wrote about the effects of the “mixed-member” electoral systems pioneered in Germany and adopted in a modified form in Japan and Italy in the mid-1990s. Dr. Schoppa co-authored this piece with his graduate student, Karen Cox, in Comparative Political Studies (2002).